Target your users without the hassle of code! In Apptimize’s latest release, we’ve given our customers the ability to target user test groups more precisely than ever before, with zero additional effort. You might already know that Apptimize allows its users to target their test groups based on a wide range of options, such as screen height, scale, width, OS version, or custom-made attributes. Now, you can target users using properties you’ve already created in analytics platforms such as Mixpanel, without doing any extra integrations. Apptimize will automatically pull this information into the targeting properties so you can simply select it from the drop-down menu. Using auto-import properties couldn’t be easier. 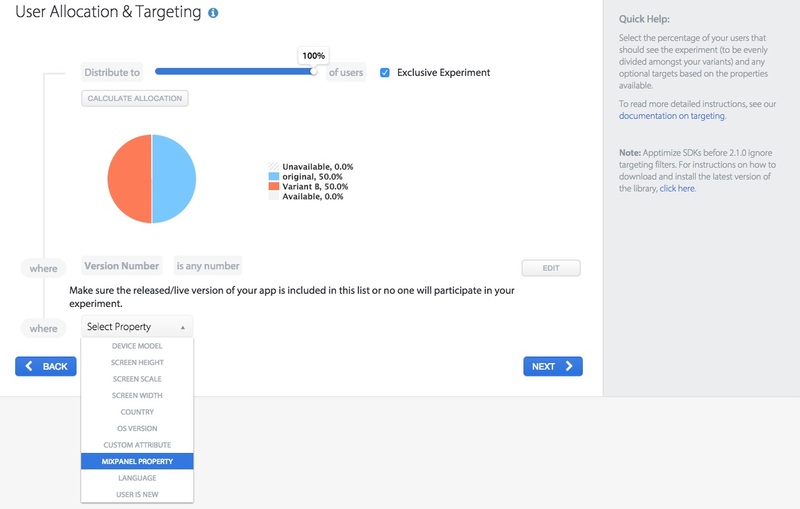 Once an experiment variant is created, simply go to the targeting/allocation page as seen below. Once you reach the User Allocation & Targeting Page, your properties will automatically populate the drop down menu, and you can select them as filters. What Is the Difference Between Site Login and HTTP Authentication?